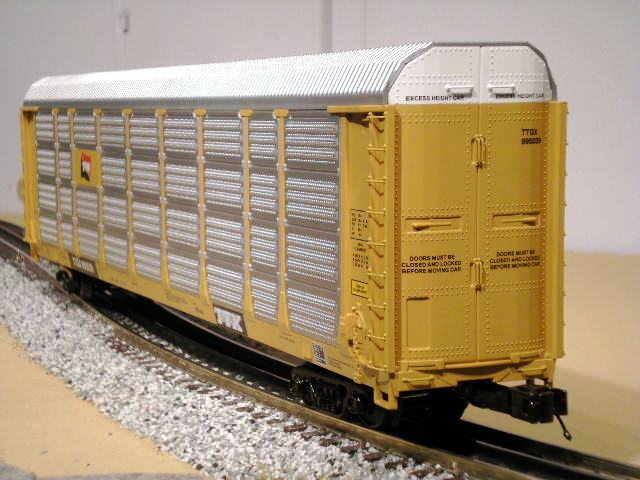 MTH made 2 critical imrpovement to the corrugated auto carriers for 2008. 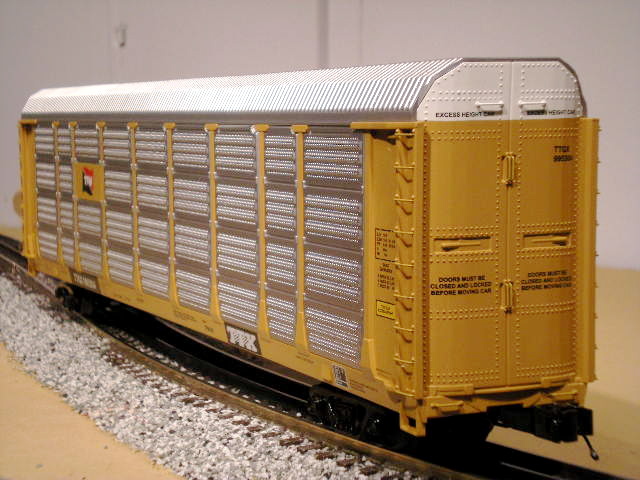 First, the trucks were positioned further back to a more prototypical position. Secondly, the car now rides lower on the trucks. It's nice when subtle improvements like these are made. That's what makes MTH a quality product. Made in 2008, added to my set in May of 2009. Just like the car above, but a different road number. Made in 2008, added to my set in May of 2009.